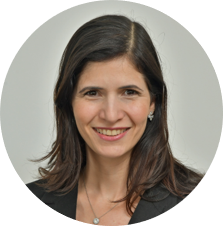 Ana Leary is Associate Advisor at Cambridge Advisors to Family Enterprise, a highly specialized international advisory firm serving family enterprises. Cambridge Advisors and Cambridge Institute for Family Enterprise, an education and research institute, are divisions of Cambridge Family Enterprise Group, a global organization founded in 1989. It is devoted to helping families achieve multigenerational success for their families, enterprises and financial wealth. Ms. Leary works with family-owned enterprises around the world on the strategies for the successful continuity of their enterprises. She specializes in researching family business systems and family business topics. She administers family communication tools such as family-wide surveys and webinars to support multinational families in implementing their communication and education strategies. She also offers families project management expertise for their governance, next generation development, and social impact agendas. Ms. Leary has served as a co-facilitator at Harvard Business School’s Families in Business program, a six-day course that examines pivotal issues facing family enterprises. She is a member of the Family Firm Institute (FFI), the preeminent association of family enterprise professionals. Ms. Leary has lived and worked in Canada, the United States, and Brazil. She earned a Master’s degree in environmental studies from York University and B.A. in political science and international development studies from McGill University. She is fluent in English and Portuguese and proficient in French.